Hi Friends! 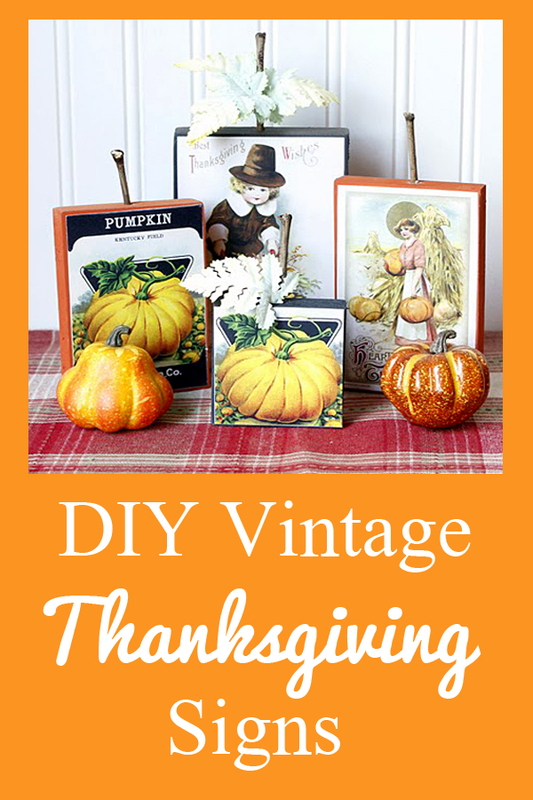 How is everyone…it’s Andrea from The Cottage Market and I have a fun Thanksgiving DIY for you today! I love this project because it is quick…easy and it shows off Karen’s amazing vintage graphics in a really fun way. Even though were still a little ways away from Thanksgiving, it’s never to early to plan and you know it will sneak up on us before we know it! 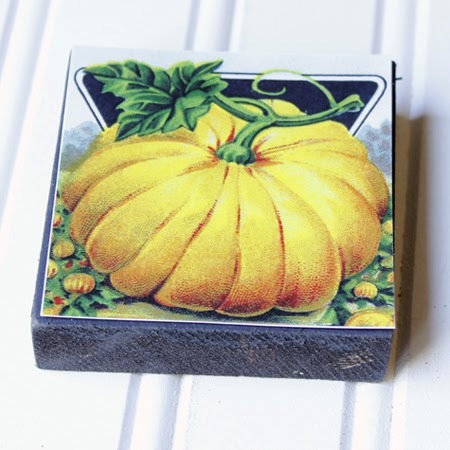 Let’s make some Vintage Image pumpkin signs…hey…let’s make a whole pumpkin patch of them! 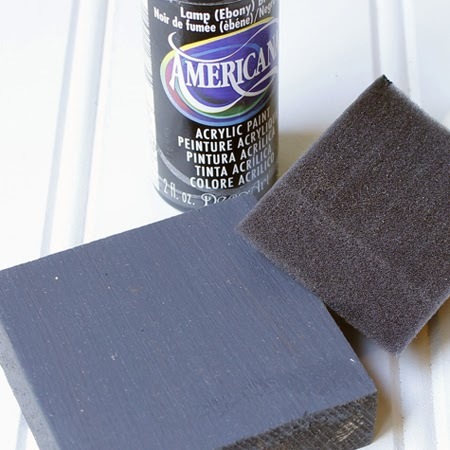 Step 1: Sand and Paint your block of wood in the color of your choosing. 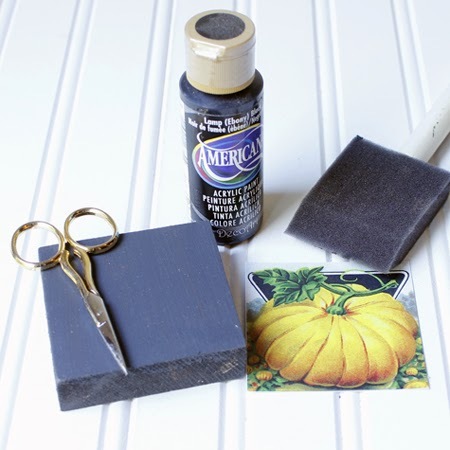 Step 2: Glue your image onto your block of wood. Allow it to dry. Then it is time to do any trimming. Step 3: Then it is time to do any trimming. Step 4: Drill a hole on the top of the block for the stem. As I said above…you can also glue your stalk on. 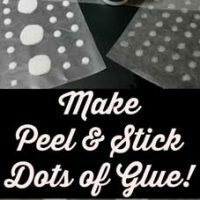 Step 5: Time to add some leaves to your stalk…then place a dab of glue at the bottom of it and put it in the hole you just drilled and voila! 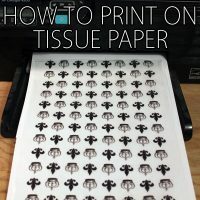 Step 6: Now…you are going to need some awesome images! 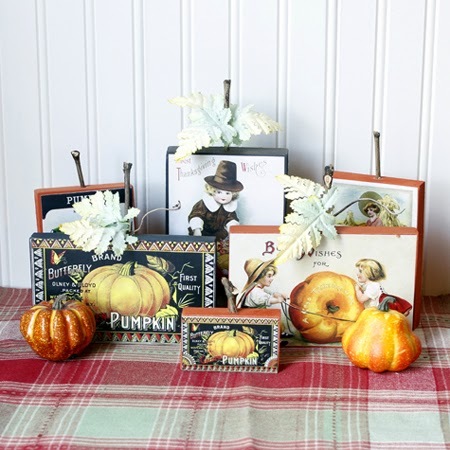 My suggestion is…click here you will find a fabulous array of Thanksgiving vintage images and all the ones that I have used! 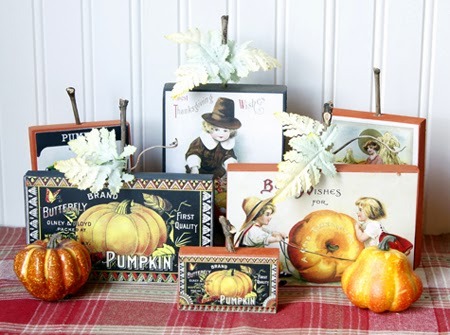 Have fun finding the perfect images for your Pumpkin Patch! 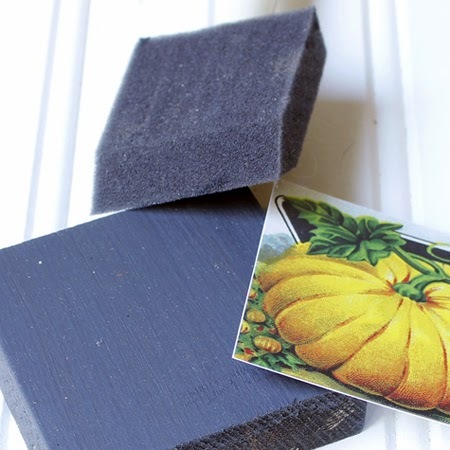 You can use these on the table…the mantle…on shelves…just about anywhere! They are great in a vignette…the would also look great if the leaf was parchment and a name…wonderful to use for a place setting card. 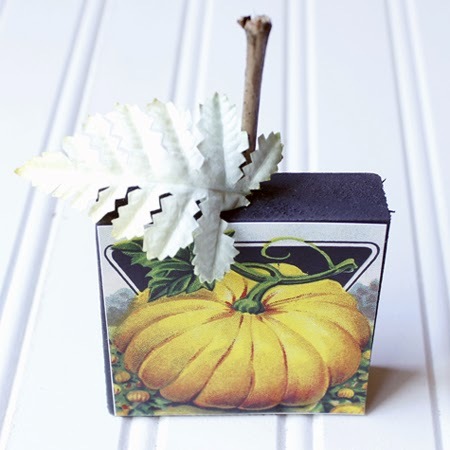 There are tons of fun things that you can do with these cuties and I sure hope you have fun making them for your Fall or Thanksgiving Decor! Smaller groupings are fun to display too! 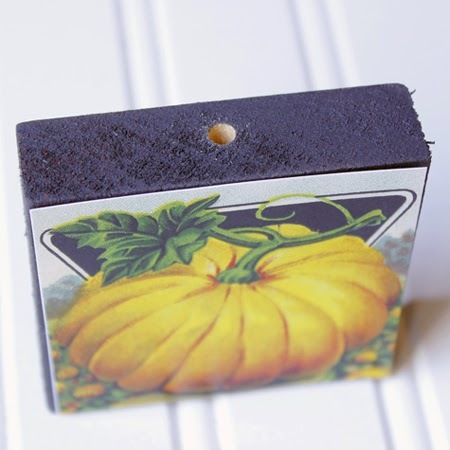 Have fun adding in a few Pumpkins or Gourds to give a more festive feel. 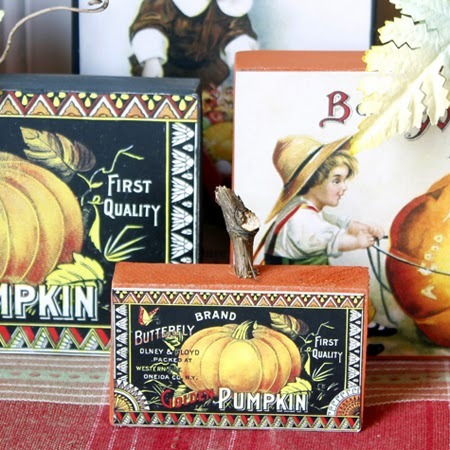 It’s fun to use some real or faux gourds and pumpkins, but the faux ones will do quite nicely too! 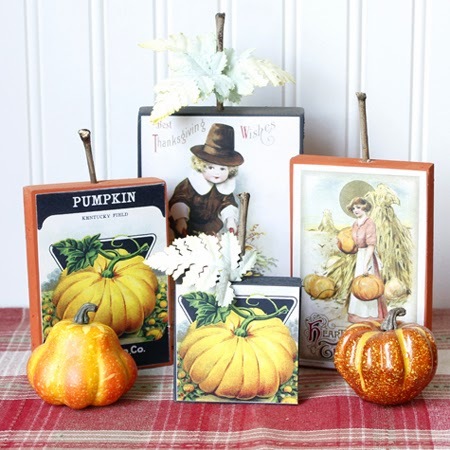 The images used here were the Pumpkin Label, Pumpkin Seed Packet, Pilgrim Boy Postcard Image, Pumpkin Kids Postcard Image and the Thanksgiving Pumpkin Lady Image. 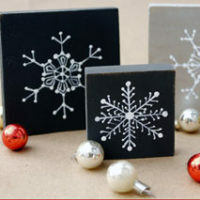 They are even great for little favors for your family and friends to take home with them! Have fun and CREATE!!! You might also like these Cute Printable Thanksgiving Napkin Rings HERE. Those block signs are quite beautiful, Andrea. Thanks for sharing. 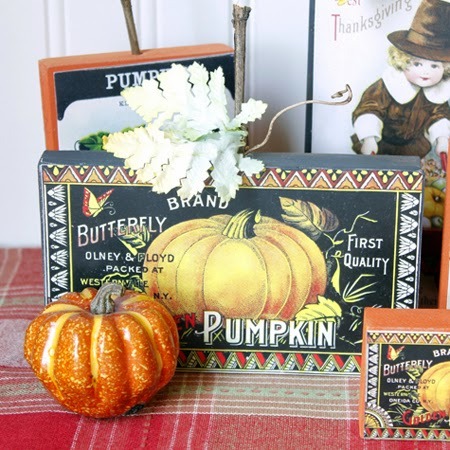 Love the Thanksgiving signs and the Victorian Christmas Label. Love this site! Love the project. Also what caught my eye are the leaves you cut out. Short explanation of how you did that? for those of us who are a little more creatively challenged. These are so cute. Nice idea! I am new here so going to look around now. Thanks so much.